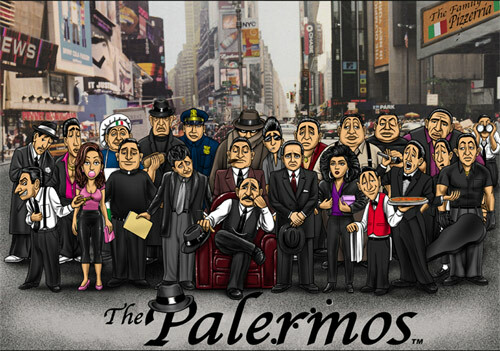 Meet the Palermo Family from New York's lil Italy. Originally one of the most powerful crime families on the east coast, they are trying to turn a new leaf. they wanna be legit! Having opened a successful mobster themed pizza parlor chain called The Family Pizzeria, they are now head of one of the most successful restaurant chains in the country. From opera singers for entertainment to limousine pizza deliveries in Violin cases, these guys aren't just dressing the part...they are the real deal. Their restaurant slogan is "The Family Pizzeria ...Flavor you cannot refuse". And yes Homies, they are whisper's relatives.